Please confirm our Loreto course rates at the time of booking. Our rates do NOT include transportation to and from Loreto, Mexico nor do they include lodging at our Loreto golf resort unless explicitly stated otherwise. Those choosing to stay and/or play at TPC Danzante Bay and Villa del Palmar at the Islands of Loreto must arrange transportation of their own. Tee times and reservations are subject to availability at the time of booking. Rates are subject to change without notice. For the most accurate rates, please check with our staff when you make your reservation or when scheduling tee times. Member prices include a 15% discount and only apply on rounds of 18 holes, and twilight golf. Elite members will receive a 20% discount on the same options. The world class golf course was challenging but lots of fun and exercise for our group of inexperienced players. Golf assistants Carlos and Majo stored our clubs, had our carts loaded up and ready to go at tee time, and cracked us up laughing. The course was quiet and beautifully groomed. We really can’t see how golf could get any better. The scenery around resort is incredible. The golf course was the most beautiful course I’ve ever played. I cannot give this resort enough accolades. We will absolutely return, hopefully soon! This is our 3rd visit & it gets better each time. The resort is 30 mins south of Loreto. They own all of the surrounding property so no hassles from aggravating souvenir sales people on the beach. Plenty of activities from SUP to kayaking, hiking, snorkeling, fishing, scuba, and a 1st class TPC golf course – Danzante Bay. If want a secluded vacation with good food, great service, nice facilities, a great spa, this is IT. We loved it so much we upgraded our timeshare which gives us so many options. Check it out. From the moment we arrived at resort until we left for home we were treated like family from all resort staff. The meals were excellent at all 3 restaurants. The activities staff go above and beyond to make sure you are entertained. The golf course is beautiful and challenging to golf. The hiking trails will take your breath away. The spa is magnificent and professionally well trained. The staff is great, from check in to the golf course and beyond. The staff at Casa Mia are awesome and their services is second to none. A special thanks goes out to Edgar. Marco, Jesus, Valentin, Casey and Ventura, thanks for a great time. The golf course is outstanding. The 17th hole is breathtaking. The hiking trails take you to some awesome sites. We will be back. Carlos helped us on the golf course, he took care of our tee times club rentals and even brought us drinks during our round. The golf course is absolutely beautiful and we will definately be back. The views are spectacular! My wife and I enjoy the Villa del Palmar resorts. First time to Loreto Mexico. These resorts take pride in their beautiful landscaping, food, parking, and guest experience. We took advantage of most of the amenities including the tours. A Huge bonus is the magnificent golf grounds they built. The club pro Danny Garcia is a genuine friendly human. I’m not a golfer but enjoyed sunrises on hole 17 which is a thing of beauty. We enjoyed our week and the staff made it so easy and enjoyable. The breakfast staff were so friendly and cheerful. The golf was wonderful, and Carlos was a great asset to the course. We will be back! 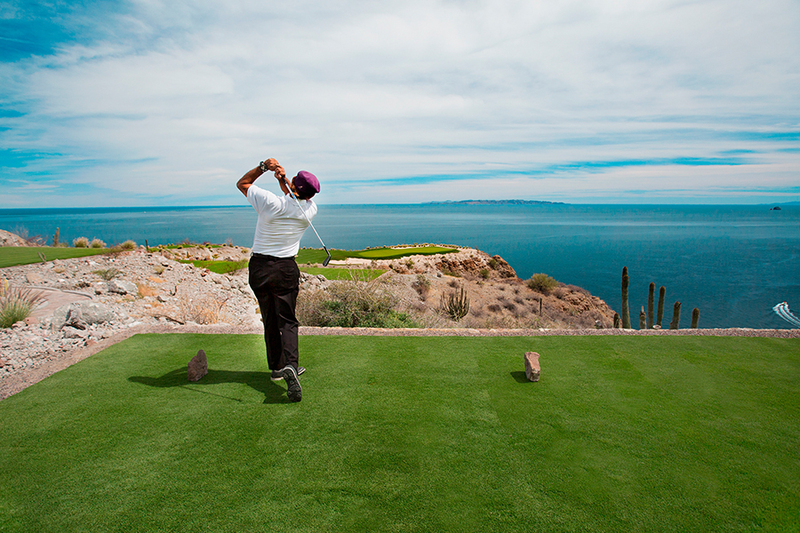 My first visit to Villa del Palmar was in 10/17 with the Latina Golfers Association to play golf at the Danzante Golf Course. I fell in love with Villa del Palmar Resort that I purchased the time share. Since then I went back in 3/18 and planning to go back again 7/18 and 10/18. The main reason I fell in love with the resort was the staff, they are incredible and made us feel like a family! I also became a golf member of the golf course. I highly recommend everyone to visit this hidden gem!!! Special thanks to JC, Majo, Carlos, Danny, Desiree, Genaro and everyone else!!! The golf course is both challenging and first class, there is a well equipped gym and a very nice spa with tennis courts on the roof. The beach is also clean, quiet and relaxing, and the water is warm and calm. Great views, people and a very relaxing time. 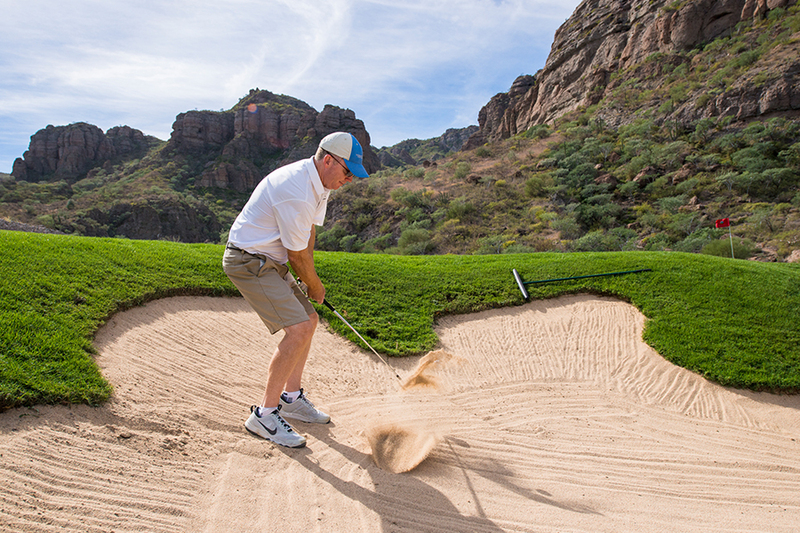 You can golf at a top rated golf course, play putt putt, ATVing, fishing, hiking, or just relax by the pool or beach. There is a great spa and wellness center. The staff are top notch.